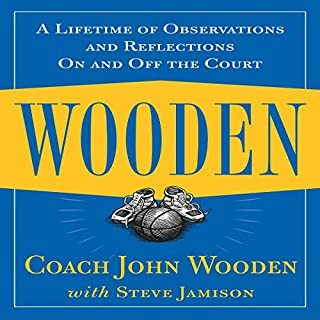 Upon listening to this book, I learned that Coach Wooden was a demanding and highly principled man who loved to teach and coach, but, more importantly, he knew what was most important in life. He learned it from his parents, and spent the rest of his life trying to live to his highest potential. 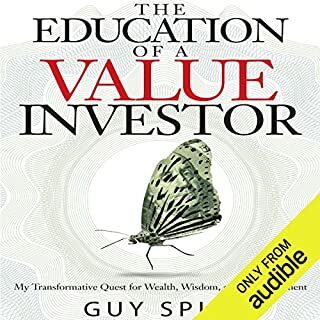 The book was inspirational and though the Pyramid of Success was not a complex process, it was highly valuable tool to learn and benefit from. I listened to this book twice. The second time, I was able to capture the many instances during which the paths of Musashi and Otsu criss-crossed without them realizing how close they really were. 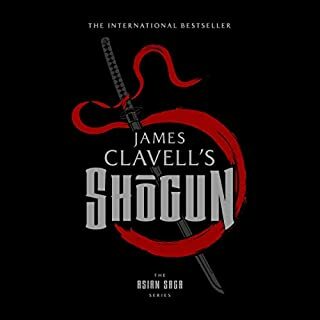 I chose this book because, as a past student of martial arts, the story of a martial arts legend intrigued me. During feudal times in Japan many warriors and soldiers were driven to survive on their own when their warlords lost or were killed in battle. Some gave up and gave in to commiting crimes against their own people, but others did not and through sheer will and strength of character overcame incredible odds to lead a noble life. 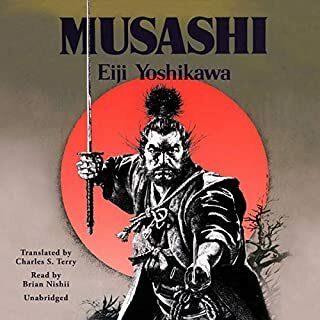 That is what Musashi stood for, a seeker of truth and enlightenment. However, I don't want to brush aside the fact that during a long period he seeked fights for glory which was opposite of someone seeking enlightenment. There were various characters that brought richness to the story and the narrator's voice was clear and ably covered the various characters. I thoroughly enjoyed this book, and it also provided nuggets of wisdom that I will carry with me. 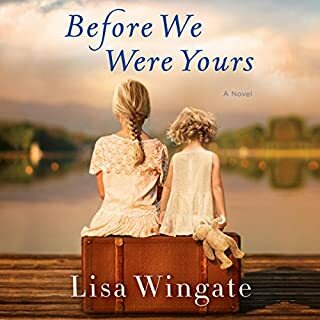 Well written and narrated book. The story line evokes strong emotions in the cruelty by those in power to the powerless. Incisive points to consider and act upon. 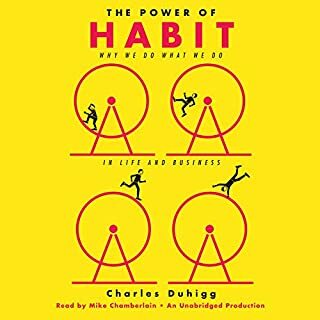 The book provided actionable ideas, and true stories to reinforce the profound effects habits have. 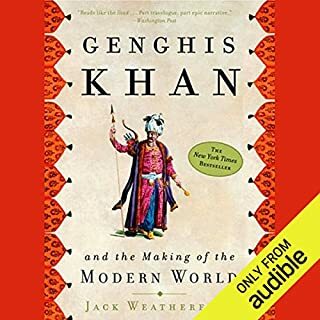 I loved the fascinating story surrounding the life of Genghis Khan. The learning of history always seems to teach me a little more about how people learn to overcome their harsh environment, and those who don't or can't also provide guidance as much. I gained enlightening perspectives through Guy's storytelling of his life's experiences. Well written and performed. Great story and excellent performance to listen! The story invites your imagination and senses to feel the emotions being invoked by the storyteller. This book kept me company and provided an escape during parts of the day when I wanted to take a break from work. 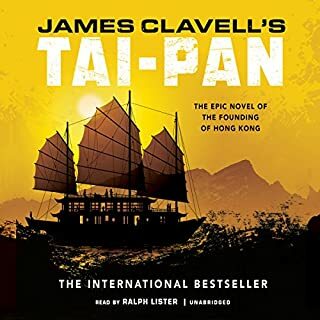 James Clavell is an incredible story-teller. Amazing history, rich detail and clear narrative! The main takeaway for me has been that history just seems to repeat itself. 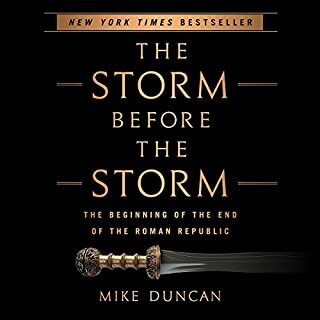 What happened in Rome has, in many ways, striking similarities to current events. I am glad I also purchased the book so that I can read it more slowly. 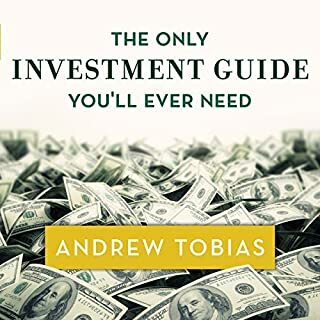 Mr. Tobias covers a lot ground and unless you are taking notes, there's much that can be missed just by listening.